With a classic look and strong design, this vanity will help any bathroom look nicer. The white ceramic counter and brown solid wood base make a beautiful look in your bathroom. Made with a roomy double-door cabinet, this vanity has lots of room to keep items like toothpaste, towels, and hair brushes. Put a nice touch on your bathroom's look with this vanity set from Avanity. Enjoy the popular traditional look in your bathroom with this beautiful vanity. Its white ceramic counter and brown plywood base are very easy on the eyes. The simple double-door cabinet is great to keep bathroom items in. Put a nice twist on your bathroom project with this classic piece from Bellaterra. Bring a fresh, traditional look into your bathroom with this vanity. 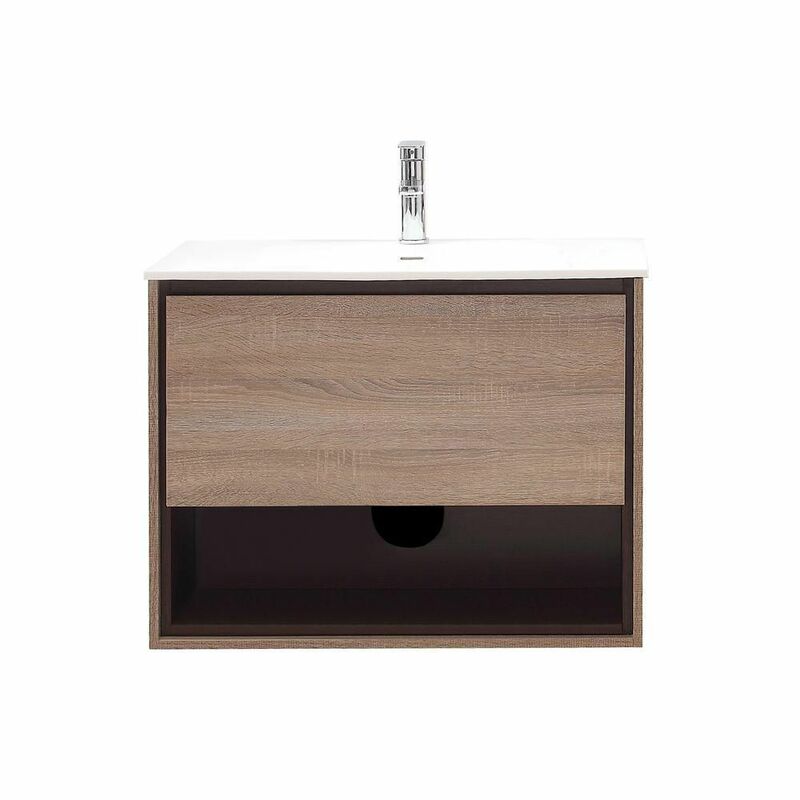 Made with a special brown plywood base and a white ceramic counter, this piece will make your bathroom look even nicer. The roomy double-door cabinet has lots of space to put bathroom items. Put a nice touch on your bathroom's look with this vanity set from Bellaterra. Sonoma 31.5-inch W Wall Mounted Vanity in Brown With Ceramic Top in White This vanity has both an all-around look and a modern style. With a white ceramic counter and brown particle board base, this piece is very stylish. Put a nice twist on your bathroom project with this classic piece from Avanity.